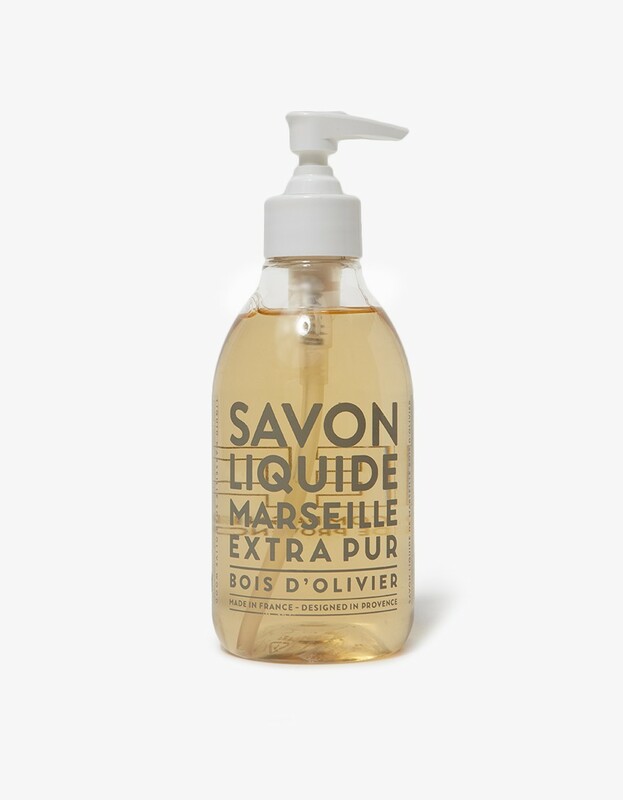 From Compagnie de Provence, a liquid Marseille soap in Mediterranean, Olive and Lavender, Orange Blossom, Grapefruit, Cotton Flower, Mint Tea, Fresh Verbena, Olive Wood or Wild Rose. 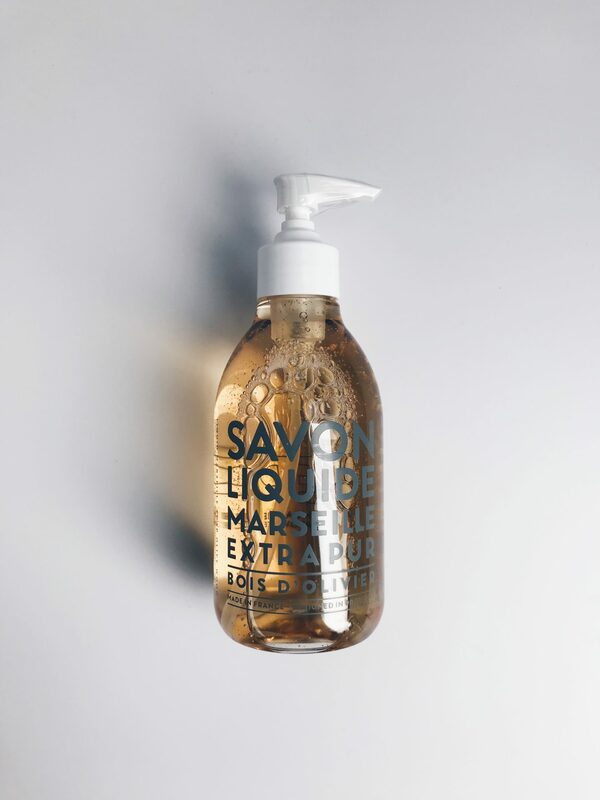 Made in cauldron, this liquid soap is elaborated with vegetable oils and naturally glycerined. Its is guaranteed free of artificial coloring and free of animal fats.